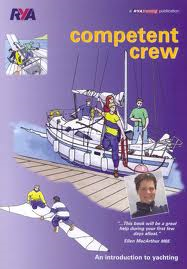 The aim of this course is to introduce the complete beginner to cruising and to teach personal safety, seamanship and helmsmanship to the level required to be a useful member of the crew of a cruising yacht over a 5 day period. If you have already completed the two day Start Yachting course, the Competent Crew course can be completed in a further three days. Ability After Course: By the end of the course you should be able to steer, handle sails, keep a lookout, row a dinghy and assist in all the day to day routines.